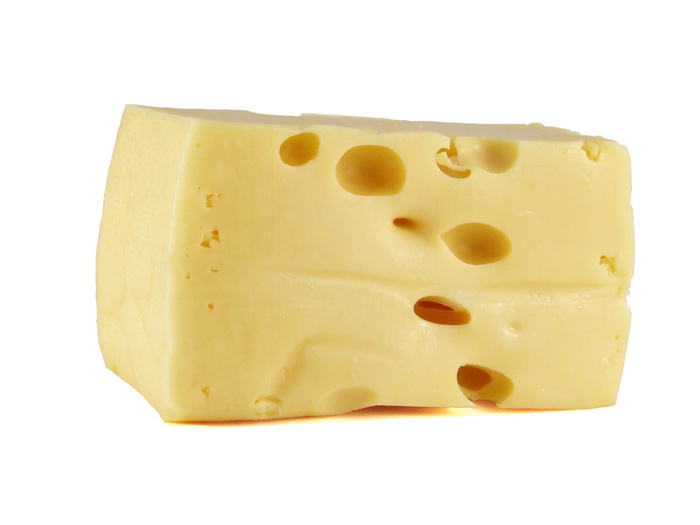 I recently read "Who moved my cheese?" which is a classic tale, captured by Spencer Johnson, that describes different reactions to change, and provides helpful messages to get through the times when change is forced upon us. It isn’t rocket science, but it’s a great little read that only takes about an hour out of your day. The book made me thing about 2 close friends in particular: one is very change receptive whilst the other is very change resistant. The change receptive one approaches new situations with gusto. He never gives them a second thought and dives in without hesitation. We are constantly reminding him to stop and think; to "look before you leap". He has no fear of the unknown, and adapts to new circumstances very quickly. He is always looking for 'what's next?' Whilst his enthusiasm and optimism are lovely, they bring problems: He tends not to think things through, he doesn't see (and so plan for) problems and danger. He has a tendency to leave things half done as he quickly gets bored and moves on to the next big idea. Our change resistant friend is of course, quite different. Any change, no matter how small it appears to us, upsets her. The mere mention that something may change can send her retreating into her shell and brooding for days. She imagines every possible scenario and none of them are good. She finds very creative ways to keep things as they are regardless of practicality or the facts staring her in the face. Whilst this can be frustrating, it does mean that before she takes action, things have been properly considered, alternatives explored and contingency plans made. For us, this poses very different challenges: Our first friend encourages us to try new things and takes us out of our comfort zone. He helps us to grow and stretch ourselves. However, sometimes he is reckless and we need to reign him in - to force him to stop and think, and sometimes we have to simply refuse to go along with his ideas. Our other friend makes us think things though and be sure of our decisions. She resists change for changes sake, but we have to make sure that she doesn't end up in a state of ‘paralysis by analysis’. So, there are times when we have to take her by the hand and gently pull her forwards, reassuring her all the way. We all respond to change differently. Our first friend will always dive in head first, our second will always worry. It is in their nature. We can't change that. What we CAN change is our approach to helping them through turbulent times. If you want more information on this, check out our modules on Managing the Impact of Change, Influencing People and Handling Resistance to Change. They MAY just help you and your colleagues or friends to get through tricky times. week it was my turn. First: Go through and be ruthless...Does this REALLY need ironing? - This halved my pile! Underwear, towels, leggins, fleeces can all just be put away. Hoorah! Second: Prioritise.... Does this need to be done BEFORE Monday? - Again, I halved the pile. School uniforms and work shirts definitely have to be done. Jeans, T-shirts and more casual wear could wait if necessary. Third: Get on with it...stop procrastinating and make a start! 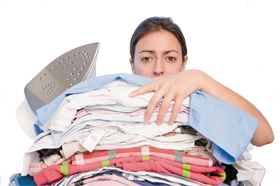 Within an hour, I'd managed all the 'necessary' ironing, plus a good portion of what could wait (if necessary), but I carried on and did the lot. Giving myself permission to stop after the 'Priority 1' items made it seem more manageable somehow. When I was ill recently and still had to keep the business running, I realised that I'd gone through the same process, so that I only had to do the work that was absolutely necessary to maintain the business. In today's 24/7 mobile, gadget addicted society, people at work are SOO busy - they rush from one thing to another, and it is now normal to take work home and be contactable at all times. Everyone seems to have too much to do. But in order to be effective, we need to seperate the wheat from the chaff and focus our energy on those aspects of work that absolutely, truly have to be done. Our tests for tasks can be helpful for this exercise. You can't do everything, but everything you DO do, should add value.